In a world where we’re completely inundated with waif-like models, fad dieting, and fat shaming, it can be harder than ever to feel good about what you’ve got. 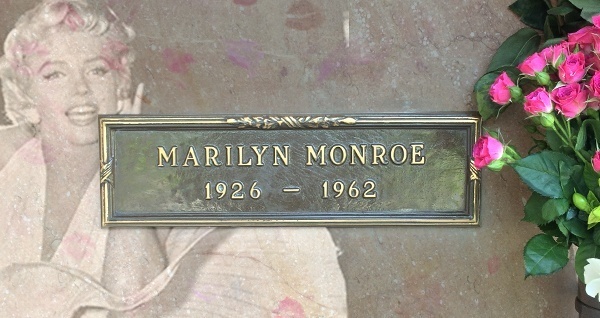 That’s why one brave California man, Roger Bochnak, decided to dig up the corpse of Marilyn Monroe and send an important lesson to women everywhere. “I have a wife and a daughter, and I see the lengths they go to in order to attain the so-called ‘perfect’ body,” said Bochnak, “But I find them perfect just the way they are.” The sensitive husband and father decided he would sneak away in the middle of the night to Westwood Village Memorial Park Cemetery, where he hacked at the hard ground for several hours until he had fully exhumed the bony corpse of the former icon. Bochnak – who currently has Monroe’s pelvis, tibia, radius, femur, and three ribs in the back of his Dodge Durango – hopes his teenage daughter can grow up in a world where size doesn’t matter as much as wit, whimsy, and being true to yourself. “I think if I can just show her that Marilyn Monroe’s worm riddled bones aren’t a size zero, she’ll see that there are all types of beauty in this world,” he mused.